If you wish to learn how to control bowling ball loft, then here are some tips to help improve your technique. Your ability to know how to control bowling ball loft will help you regulate your release, control bowling ball speed, ball direction and maintain a consistent rev-rate. All of which will work in helping you improve your scores. By releasing the ball too soon, your ball will fall onto the approach floor behind the foul line and any chance at maintaining an effective roll on the ball is eliminated. Of course, dropping the ball too early onto the approach floor behind the foul line means that the ball first contacts the floor where no oil conditioner has been applied and will leave unnecessary "smudge marks" on the approach surface behind the foul line, a certain indicator that you are releasing your ball behind the foul line. Lane machines will apply oil onto the lane surface beginning at the foul line and move down the lane from that point. In order to acquire the needed ball skid to conserve ball energy until your ball arrives at the break point down the lane and not roll sooner than planned, you must release the ball out onto the lane surface and not on the approach floor behind the foul line. Dropping the ball behind the foul line stifles any effective roll on your ball that your release technique may have provided. If you are releasing the ball too soon and it contacts the floor behind the foul line, hold onto the ball longer before releasing so the ball will land onto the lane surface beyond the foul line. Perhaps you might need slightly more gripping pressure with your bowling fingers than you presently use. Perhaps you need a wrist support device to prop up your wrist and prevent the wrist from tilting backward as you release the ball. Perhaps you might need to delay the release by thinking of not applying releasing action on the ball before the ball arrives at the tip of your sliding shoe (as opposed to back at the heel of your sliding shoe) and at the very end of the release zone. Perhaps you may need to make sure you do not bend from the waist suddenly and thrust your upper body towards the floor just prior to your release which can cause you to get far too steep of a release angle and bounce the ball onto the approach floor and not release it beyond the foul line. A good practice tip is to place a bowling towel on the approach floor with one end in front of the release point beyond the foul line where your ball first contacts the lane and the other end of the towel back toward the center of the approach. Make sure the towel does not interfere with your sliding shoe when you slide into the foul line and release the ball. Practice delivering the ball so the ball clears the towel and lands out onto the lane surface without moving the towel from its position at the foul line on the approach floor. If you can easily clear the towel 10 consecutive deliveries, then you will avoid the problem of dropping the ball too soon and you will control your loft distance. If the towel moves, replace the towel in the same position on the approach floor and try another delivery until you are able to release the ball successfully and routinely without disturbing the towel. You can adjust the distance the towel is relative to the foul line and practice varying degrees of loft control. Some of the best players in the world vary loft control from just beyond the foul line, perhaps 6-12 inches beyond the line, when they wish to get the ball into a quick roll on the lane surface. Sometimes these players will release the ball so it first contacts the lane perhaps five or six feet beyond the foul line when the player wants to delay the the roll, create a longer skid distance, and produce a shorter overall distance the ball has to travel before it impacts the pins. Once you are able to control a consistent loft distance past the foul line and maintain a regulated ball speed, then you can work at changing loft distances by either releasing the ball later than normal for additional loft distance or releasing the ball sooner than normal for an earlier rolling pattern. In all cases, avoid releasing the ball so soon that it does not clear the foul line and land first onto the lane surface. Make sure you always maintain a consistent ball speed regardless of how much loft you use. A good objective in releasing the ball onto the lane surface is to visualize an airliner coming in for a smooth landing on the runway. If the plane arrives at too steep of an angle, then the plane will bounce several times before setting into a rolling contact with all wheels on the runway surface. No one wants to ride in a plane which arrives at too steep of an angle. The same analogy applies to your bowling ball being released at a gradual angle into the lane surface and not so steeply as to produce unneeded bouncing before settling into a roll further down the lane. Therefore, it can be said that in both cases of your ball landing behind the foul line or being released in an upward angle before the ball heads downward onto the lane surface that the ball has been initially released at too steep of an angle relative to the lane. Try and keep the release angle of the line the ball travels off of your bowling hand and the line of the lane surface less than 45 degrees with a desired angle of about 20-25 degrees. Make sure you follow through on all deliveries and not quit on your follow through in an effort to get the ball to land on the lane surface at a desired angle of entry. Follow through and hold your form until the ball passes the target on all deliveries. With some practice, you will develop a good bowling release and control your loft distance beyond the foul line. Please take some time to review our extensive list of bowling products and kindly be reminded that our discounted prices are available with free shipping and with no hidden charges for any item at bowlingball.com. When you are ready to make your purchase, simply follow our easy online order instructions or give us a call at (888) 265-2695 and one of our sales associates will assist you. Thank you for visiting bowlingball.com! Why Are Bowling Tips Not Helping Me? 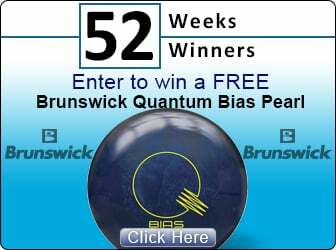 What Is A Quick Tip To Stop Overturning My Bowling Ball? Why Do I Force My Bowling Delivery? As A Beginner Bowler, How Do I Follow Through Properly?